The U.S. Conference of Catholic Bishops voted against requesting the release of Vatican records on former Cardinal Theodore McCarrick Wednesday, sparking outrage among the laity. They ultimately took no action on the grounds that the resolution demanding the release of the documents was too vague and redundant since Pope Francis had already pledged an investigation of records concerning McCarrick. “Be it resolved that the bishops of the USCCB encourage the Holy Father to release all the documentation that can be released consistent with canon and civil law regarding the misconduct of Archbishop McCarrick,” read the original wording of the resolution that the bishops voted down, according to Catholic News Agency. The bishops’ debate over what action to take concerning McCarrick was reportedly mired in confusion and disagreement over the semantics of the resolution. They even debated whether or not they should include the word “soon” in the resolution. “We cannot seem to speak clearly, even when we want to agree,” one bishop told CNA. Cardinal Blase Cupich reportedly opposed the resolution, saying it was asking the Vatican to do what it had already pledged to do. Cardinals William Levada and Joseph Tobin argued they should simply express support for the Vatican’s October pledge to investigate records concerning McCarrick. Others, like Bishops David Walkowiak and Steven Biegler, argued the resolution was too uninformed or biased against McCarrick. 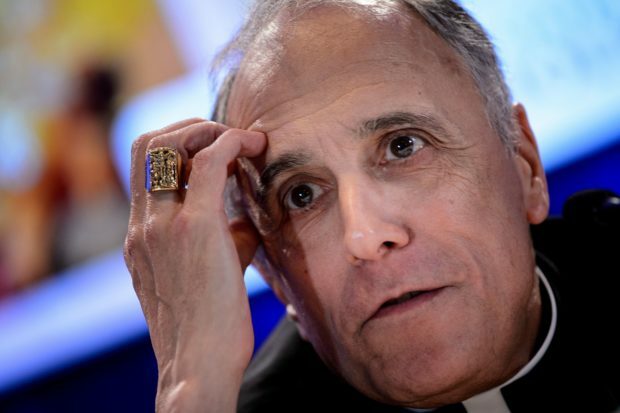 The resulting vote frustrated Catholic lay-leaders like Michael Hichborn, president of the Lepanto Institute. Hichborn noted the vote did not bar bishops from making individual requests to the Vatican for a release of the records, but that whichever bishops do so will not have the anonymity of a conference resolution. “In this war for the very soul of the Church, it will take real men of indomitable courage to be willing to stand alone, in self-sacrifice, to boldly proclaim the uncomfortable truths,” he added.